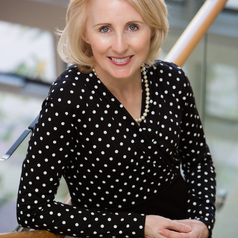 Professor Sandra Harding is Vice-Chancellor and President of James Cook University Australia. In this role, she is responsible for ensuring clear and effective leadership and management of the University across all operating sites, including campuses in Townsville, Cairns and Singapore. Educated at the Australian National University, The University of Queensland and North Carolina State University (USA), Professor Harding is an economic sociologist with a keen scholarly interest in markets and how they work, and organisation survey methodology. She also has a keen professional interest in education policy and management. She has authored and co-authored a wide range of publications, conference papers and press articles in her areas of interest. Professor Harding has extensive academic and academic leadership experience, including more than 15 years in Australian university senior executive positions. In addition, she has undertaken a wide variety of senior university-aligned roles as well as memberships/directorships of a variety of local, national and international Boards and Councils. Current roles include: Member, Australian Research Council (ARC) Advisory Council; Commissioner, Queensland Independent Commission of Audit; Director of Regional Australia Institute; Board member of Skills Queensland; Council Member of the Australian Institute of Marine Science; Director of North Queensland Cowboys NRL club; Member of the Defence Science and Technology Organisation (DSTO) Advisory Board; Deputy Chair of Universities Australia. Previous external roles include: Director of Townsville Enterprises and of Advance Cairns (regional economic development bodies); Australia’s representative on the University Grants Commission for the University of the South Pacific; Chair of the Australian Statistics Advisory Council; Member of the HIH Assessment Review Panel; Board member of the Australian Learning and Teaching Council; Chairman of Brisbane Marketing Pty Ltd; Director of the Australian Institute for Commercialisation; Director of the Global Foundation for Management Education Ltd (Montreal); Chair, Innovative Research Universities (an alliance of seven Australian universities: Charles Darwin, Griffith, La Trobe, Flinders, Murdoch, Newcastle and James Cook universities); Inaugural President of the Australian Business Deans Council; Vice-President of the Australian Universities Community Engagement Alliance. Professor Harding is an Honorary Fellow of the Australian College of Educators, Fellow of the Queensland Academy of Arts and Sciences, Fellow of the Australian Institute of Company Directors and a Fellow of the Australian Institute of Management.